Pro – Golf Leaders……Waste Management Phoenix Open…..
President Obama underwent a 90 minute medical check-up and the doctor who conducted the exam pronounced him in “excellent health” but said he needed to continue his efforts to stay away from cigarettes, according to a White House statement. Kuhlman said Obama was using “nicotine replacement therapy” in his efforts to kick the habit. 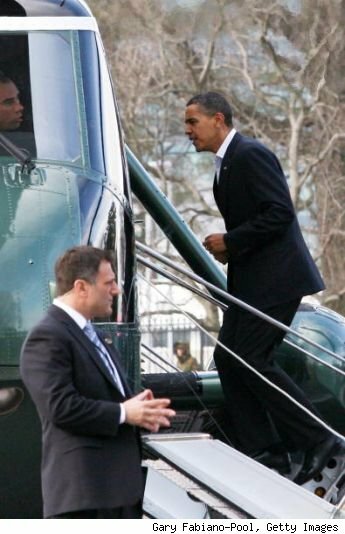 Obama, who frequently plays basketball and golf, also is taking a nonsteroidal anti-inflammatory to deal with occasional pain from chronic tendinitis in his left leg, and Kuhlman also recommended an exercise regimen to help him strengthen his leg muscles. Kuhlman’s report said Obama’s pulse rate was 56 and his blood pressure 105 over 62, which are considered to be very good numbers. While the report on his cholesterol was also good, Kuhlman recommended that Obama modify his diet to bring down his bad cholesterol which can form plaque that hardens and narrows the arteries. Rescuers searched for survivors Sunday a day after one of the biggest earthquakes in recorded history rocked Chile, killing more than 700 people while leaving untold numbers missing and 2 million displaced, wounded or otherwise affected. The death toll jumped Sunday to 708, Chilean President Michelle Bachelet said, nearly doubling as rescue crews reached remote and badly damaged towns. The 8.8 quake, which hit before dawn Saturday, toppled buildings, buckled freeways and set off sirens thousands of miles away as governments scrambled to protect coastal residents from the ensuing tsunami. Authorities lifted tsunami warnings Sunday after smaller-than-feared waves washed shores from Southern California to Hawaii and Japan. Looting broke out Sunday in some of the most heavily damaged areas of Chile, where residents were without water or electricity. Crowds overran supermarkets in the port city of Concepcion, which sustained widespread damage, and were making off with food, water and diapers but also television sets. Several banks also were hit. Police in armored vehicles sprayed looters with water cannons and made several arrests, mostly of young men. Bachelet, following an emergency meeting with her cabinet Sunday, announced she would send army troops into the Concepcion area, about 70 miles south of the quake’s offshore epicenter, to restore order and assist in recovering bodies and searching for survivors. She previously declared swaths of the country “catastrophe zones” and Sunday issued an emergency decree for the area that will be in force for 30 days. State television reported that 350 people were killed in the coastal town of Constitucion, near the epicenter. 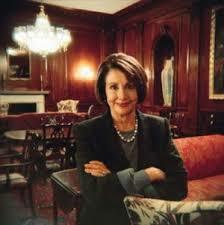 Pelosi says Dems and Tea Party movement have common ground….. While the initial reaction to this piece would be….is she crazy? (read the comments to the piece)….the Dog thinks Ms. Pelosi is very smart…or trying to be…..
As in Nevada’s senate race….The more Tea Party people running…..The better it is for Democrats…..Since the majority of the movement comes from the Republican party….The more the Democrats seek to encourage the movement…. the larger the split within the Republican party becomes……. “And that’s why I’ve fought the special interests, whether it’s on energy, whether it’s on health insurance, whether it’s on pharmaceuticals and the rest,” Pelosi said. The Tea Party movement emerged last year in response to Congress’ stimulus package and has gained momentum in recent months. The common ground between the movement and Democrats only goes so far, Pelosi was quick to add. One point of agreement between Democrats and Tea Party members is their response to the recent Supreme Court decision lifting limits on corporate contributions to political campaigns. “The recent Supreme Court decision, which greatly empowers the special interests, is something that they oppose,” Pelosi said. For comments to The Hill picee…..
. . . AND WHERE HE’S GOING Brown in the former office of Senator Edward M. Kennedy, which is now his. Here’s an in-depth look at the United States Senate newest memeber….whose election created a ripple effect in the nation political landscape….. In just 48 hours, Scott Brown would be sworn in as the newest member of the United States Senate, stepping into the shoes (and office suite) ofEdward M. Kennedy and the world of woe on Capitol Hill. But as he zipped down a Massachusetts highway on an early February night, he wasn’t focused on the issues he campaigned on and the problems he would soon confront: a gargantuan federal deficit; terrorism; health care reform, which his election may well have killed. He was fixated on “Saturday Night Live.” And how the actor Jon Hamm nailed him in a recent skit. The skit’s gist was in fact less innocent than that: as Brown apologized to Pelosi and company for his serial intrusions, he smiled coquettishly, batted his eyes and invaded their thought balloons, where he gyrated and jived, a hunky go-go dancer with loose hips and lewd quips. (“I’m about to filibust out of these jean shorts.”) The lawmakers were lust-struck. Sure, they wanted universal coverage, but right then and there, they had a more intense, urgent hankering for Scott Brown. He chuckled about that part too, kidding that when he formally met these lawmakers in the weeks ahead, he wouldn’t be sure whether to “shake their hands or wink at them.” It’s a question that wouldn’t occur to most Senate newcomers, but then they also probably wouldn’t attract the attentions of “S.N.L.” in the first place. In the context of Congress, Brown is an unusually hot property. Interpret the “hot” as you will. The Dog always wondered where Leon Harris ( formally of CNN ) disappeared to…..
Harris cues an assistant, and a series of videos roll on a big screen. Each one is about the tragic aftermath of a traffic accident, with regretful survivors and tearful relatives. By the end, the students have stopped fidgeting. “Deal!” the teenagers respond enthusiastically. “Deal!” roar the students, who whoop and applaud as Harris waves and leaves the stage, a smile curling his caterpillar of a mustache. It’s a worthy message and a nice event, one of dozens organized by Harris’s TV station in area schools. But it makes you wonder: What’s Leon Harris — a journalist who has reported stories from around the world, the man recruited from CNN a few years back to lead WJLA (Channel 7) to ratings glory — doing here in the first place? Amid all the uncertainty, WJLA is counting on Harris to be its signature face, its news “brand.” There’s an old saying: People don’t watch the news; they watch the people who bring them the news. 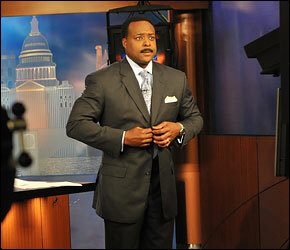 When WJLA lured Harris from CNN in 2003 and made him anchor of WJLA’s 5 and 11 p.m. newscasts, the station’s executive saw just the right blend of gravitas, likability and camera-friendly looks. It didn’t hurt, either, that Harris had network-news chops, honed after a dozen years of reporting issues including the 1992 Los Angeles riots and President Bill Clinton’s impeachment. Your “Political & Polling Guru” Daniel G. is previewing next week. 1. For the first part of the week we’ll likely be focusing on the TX Lone Star Showdown between Perry – Hutchison. At this Point almost EVERYBODY agrees that Perry will win the Primary. The only remaining Question is: Will he crack 50 % to avoid a Run-Off or not? It’s tough to call this. Stay here with the Dog on Tuesday Evening as we’ll have Extensive Coverage with an “Texas Primary Election Night Results Thread” I’ll be moderating it until the Dog comes back from work. The Thread should be online at 6pm ET. 2. The Arkansas Filling Period opens tomorrow at Noon CT / 1pm ET. At some Point next week we’ll know if AR Lt. Governor Bill Halter (D-AR) will challenge sitting Senator Blanche Lincoln (D-AR). I’m excited about this. 3. We’ll have the usual Polling & Political News from the Dog. Rasmussen indicated that he’ll release a Rhode Island & Kansas Governor Poll next week. Should be fun to watch.